Springtime at Challenge Mountain means biking, equine therapy and ropes challenge course for school children with special needs. 100% of your donation directly supports recreational and cultural opportunities for individuals living with disabilities. 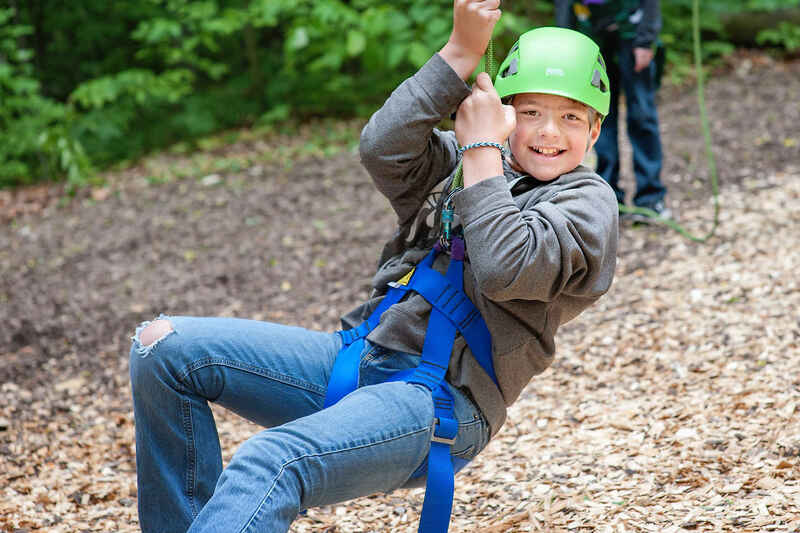 Each year, Challenge Mountain connects children, youth and adults with special needs to life-enhancing recreational opportunities including adaptive skiing, equine therapy, ropes challenge course, adaptive biking, sailing and SPIRIT Day Camp. Individuals of all ages and abilities take part in Challenge Mountain's programs, including those living with physical, cognitive and developmental disabilities. At Challenge Mountain, participants gain personal fulfillment through a sense of accomplishment and a feeling of acceptance which translates positively into their everyday lives. Our programs are not just about having fun on a boat ride, climbing a ropes course or skiing down a hill. They are about positive individual and group development and building social and character skills while transforming participants' views of themselves and their abilities. 100% of your donation directly supports recreational and cultural opportunities for individuals living with disabilities. Your support ensures that cost is not a barrier to participation -- along with the income generated through the Challenge Mountain Resale Store, our programs are offered at little or no cost to participants and their families. At Challenge Mountain we believe that all people, regardless of ability, should have opportunities to experience life and adventure, and in doing so realize their personal value, strengths and abilities. The challenges faced and support discovered in these experiences help people become stronger individuals and community members. Make a difference by supporting the Great Things that Happen Together at Challenge Mountain!